To learn more about vein therapy, call the office in Juneau, Alaska, to schedule a consultation or book online. 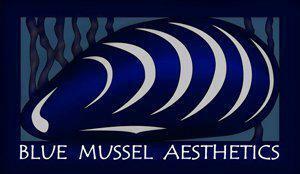 Blue Mussel Aesthetics utilizes laser technology to treat small facial blood vessels and spider leg veins. The laser targets the red, purple or blue hues in the veins and destroys the vessel so your body can safely reabsorb it. The laser pulses can feel like stinging, similar in sensation to the snapping of a small rubber band against the skin. Blue Mussel Aesthetics also offers topical numbing and Nitronox (laughing gas) as pain relief options for an additional charge. Immediately following the treatment the treated area can appear red and mildly swollen. The color typically fades after 3 to 5 days and disappears completely after about a week.